Trade Reading Order » Happy Fourth of July Everyone! I’m feeling unusually patriotic today (for a displaced New York Jew). Maybe it’s because I get a couple days off after some heavy workload and maybe it’s because I’ve realized how uniquely American this whole superhero comic thing is – or at least started as. So I hope everyone has a great July 4th Celebration! Don’t drink too hard – I’ll handle that for you. 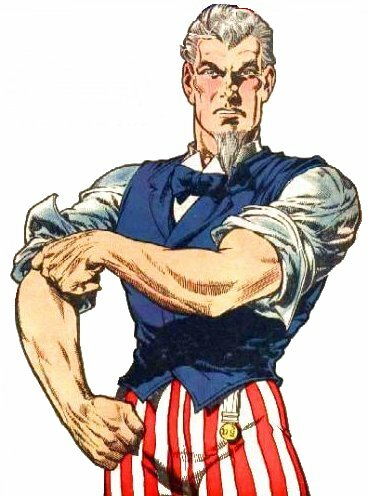 To wrap up this little post, I’ll leave you with my favorite blog feature from today: Lorendiac’s Master List of Flagsuit Characters – over 200 star spangled heroes!